Balance With Self · Health And Nutrition · How do things work in my body? Should I Eat Completely Organic? Organic food is produced by farmers who emphasize the use of renewable resources and the conservation of soil and water to enhance environmental quality for future generations. Organic meat, poultry, eggs, and dairy products come from animals that are given no antibiotics or growth hormones. Organic food is produced without using most conventional pesticides; fertilizers made with synthetic ingredients or sewage sludge; bioengineering; or ionizing radiation. Before a product can be labeled ‘organic,’ a Government-approved certifier inspects the farm where the food is grown to make sure the farmer is following all the rules necessary to meet USDA organic standards.” So at least we knew that when an item said “organic” we were more likely to find a healthy alternative. Since organic food can be pricey, my family’s relationship with it has had its ups and its downs, but we now have a truce. 😉 We strive to buy as much organic as we can with-in our means. –> “Organic farmers don’t receive federal subsidies like conventional farmers do. Therefore, the price of organic food reflects the true cost of growing. –> “The price of conventional food does not reflect the cost of environmental cleanups that we pay for through our tax dollars. 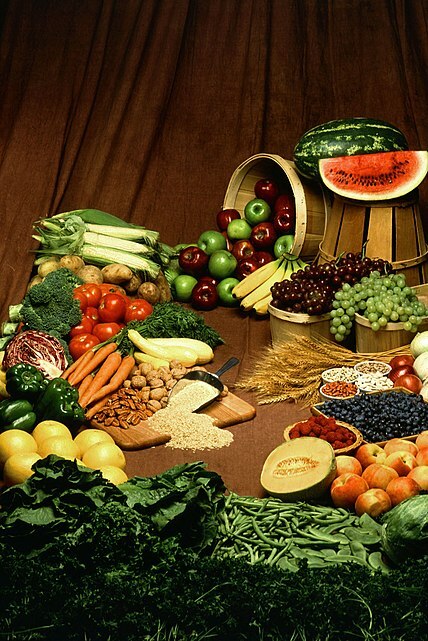 “They have more nutrients: Reports of organic food not being better for you are outdated. A brand new analysis of about 100 studies, including more than 40 published in the past 7 years, found that the average levels of nearly a dozen nutrients are 25% higher in the organic produce. “There may be weight benefits: Research in rats found that those fed an all-organic diet (versus conventional food) had lower weights, less body fat and stronger immune systems. Plus, the “clean diet” animals were calmer and slept better. “The most important fruits and vegetables you should buy organic (are) those with the greatest pesticide residues and the ones you eat most often… Always buying [the ‘dirty dozen’] organic is ideal, but if you can’t, focus on those you eat all the time. “Buy organic produce in season (preferably local) when it’s most affordable–usually at half the cost. Not only does your wallet benefit, but so do the local farmers supplying the grub. You’re guaranteed that the produce is fresh and little energy was wasted in its journey from the farm to your kitchen. “When it comes to meat and poultry, it’s better to choose organic. A study in the journal Meat Science compared the nutritional content of organic and non-organic chicken meat. The researchers found that the organic samples contained 28% more omega-3s, essential fatty acids that are linked to reduced rates of heart disease, depression, type 2 diabetes, high blood pressure, inflammation, and Alzheimer’s disease. Animals raised organically can’t be given antibiotics, growth hormones, or feed made from animal by-products (which can transmit mad cow disease). “Clipping Sunday coupons isn’t just for grandma. Many organic dairy companies such as Stonyfield Farm (stonyfield.com) and Organic Valley (organicvalley.com) offer printable coupons on their sites for as much as $1 off a half gallon of milk or 16-ounce container of yogurt. “Find out if your supermarket switched to greener store brands. Nearly every mainstream supermarket now carries organic store-brand options, including Safeway’s O Organics line, H-E-B’s Central Market Organic selections, Wal-Mart’s Great Value private label, Stop & Shop’s Nature’s Promise, and Supervalu’s Wild Harvest. 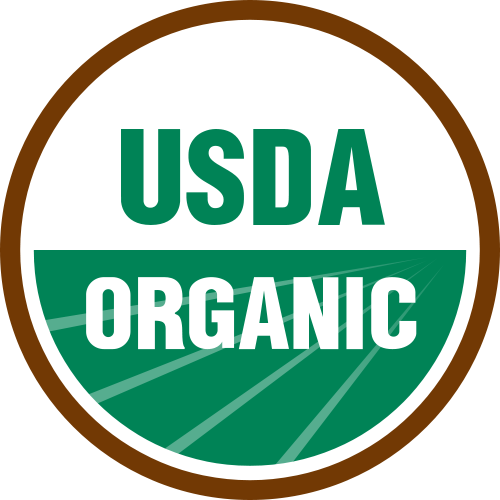 Organics are also available within Kroger, Publix, and Wegmans store brands. Clearly, organic foods offer a positive alternative for my family to the pesticide-covered, hormone-laced food products readily available in the local grocery store. Even though the cost may be higher, the benefits certainly outweigh the price. Still, we can’t buy everything organic because sometimes the item is more than double the price of the regular. So we’ve learned that if we can only buy a few items organic, we go for the the Dirty Dozen (those most likely to have pesticide residues), which include peaches, apples, sweet bell peppers, celery, nectarines, strawberries, cherries, pears, imported grapes, spinach, lettuce, and potatoes; and/or the ones we eat the most often. There are some produce we don’t worry about if they are organic or not. Unlike the Dirty Dozen, the Clean Fifteen (the least likely to have pesticides) include onions, avocados, corn, pineapples, mangos, asparagus, peas, kiwi fruit, cabbage, eggplant, papaya, watermelon, broccoli, tomatoes, and sweet potatoes. We’ve also learned that the digit code on the food can tell us whether it is organic or conventional. Many fruits and vegetables have the food label stickers on them that have 4 or 5 digit codes. If the produce item has 4 digits, that means it is conventionally grown, but not organic. If it has 5 digits, and begins with a 9, that means that the produce item was organically grown. A 5 digit code that begins with an 8 indicates that the produce item was genetically modified. We’ve learned a lot by the numbers of the items. So, has my family gone completely organic? No, we have not. When we started to go organic, we went entirely organic. We bought nothing but items that were organic; we were trying to do too much, and it back fired on us. We then had to look at our finances and decide what items we will only buy organic, other items when the price is reasonable, and those not necessary to buy organic. We now strive to buy what we can. So what does this mean to me as a teen? Should teens go entirely organic? I say, if your wallet can afford it, go right ahead. If not, do as much as you can. Thanks Kathleen! This was very informative! organic is great, but it doesn’t have to be certified (or expensive) to be organic. lots of farmers can’t afford the certification and sell organic produce at local farmer’s markets. Wow! That’s crazy how much stuff is on our FRESH food even. It’s disgusting really is what it is. i WOULD go all organic but it is too much money. But for the most part I DO eat mainly organic! Isn’t it!? I could barely believe it myself when I first found out. Awesome find!!! Just like life, you’ve got to take going organic one step at a time. Keep up the good work! great post!!! I try to eat organic when we can afford it, especially for the dirty dozen. I try to make as much of my diet organic as possible, but sometimes it’s hard when I can’t even find organic versions of the Dirty Dozen at the supermarket! This summer, I’m starting a vegetable garden so I can a) save money and b) know exactly goes into growing my food. And thank you for the lovely comment on my blog 😀 I’m excited to follow your blog too! Honestly, I buy organic when all possible, but I know with my budget it’s not going to happen all the time. I shop mainly at Trader Joe’s which almost all of their canned goods and other products are organic. I became a vegetarian due to the fact that: a)I hate the texture of meat, b) what factory farming is doing to our animals digusts me, and c) I cannot afford to only buy organic, local, grass fed meat. It’s definitely do-able but with a lot of sacrifices along the way. My family has been trying to eat organic, too! When we first learned about the importance of eating organic my mom signed up for this local thing that you pay so much money for and every week you go pick up a big box full of organic produce. It was getting expensive though, so we stopped. I’ve found that it is not easy finding organic produce! Walmart only has organic apples and carrots, Sam’s Club only has organic spinach and Publix has lots of organic produce but we hardly ever shop there! Eating organic is a real science!! We used to be a part of a local food co-op too, but yeah — it got expensive. We look everywhere! But you know, when it comes down to it, our health is worth all of the searching. We get our organic produce from lots of different stores, for example: we get our organic apples and carrots from Costco and our organic celery and potatoes from Heb. I agree with you, it is all about balance. It is far better to eat lots and lots of veggies than to limit yourself to what your budget can afford in the organic section. We are continually ingesting things from our environment–not just our food–but we can’t make ourselves insane. So do what you can, buy organic what you can. It’s certainly easier and cheaper in the late spring-summer-early fall when farmer’s markets with local organic food are in abundance. And if you are truly indusrious and you have a lot of friends who want organic produce, you can find out where it is sold wholesale and buy in in bulk and then divide it up. Like I said, you’ve got to be industrious to do that, but some people are that entreprenurial! Wow! What an informative an well written post! Within the last year, I have started buying more and more organic products. I swear the organic chicken breast that I buy tastes a LOT better than the regular stuff and I’ve noticed that organic veggies seem to last longer before spoiling…super plus since I’m a single girl that likes to eat a lot of different veggies! I find that too. Organic apples, to me, taste a whole lot better than the conventional ones, for example. I love your article on organic food. So many teens are killing themselves with fast food and zero regards to nutrition it is so positive to see ones with a healthy approach. Along with eating organic and locally, growing your own produce organically is one of the best ways to get quality food on your table. You’re lucky you’ve got your family all eating healthy together! my mom doesn’t understand the whole organic thing so when we go grocery shopping I sneak the organic stuff into the cart, haha 😉 but other times she doesn’t mind. But If I’m not able to choose organic then I wash the crap out of them before I eat them. Well, my dad and my sister still eat a lot of whatever they want (not caring if it’s good for them or not), but they are doing better — much better than what they used to. 🙂 Thanks! Kathleen! This is a great article. Thanks for sharing this information. You are doing an awesome job in your blog, we love it. Keep it up cute girl. Hi thanks for all your sweet comments…Love this post. I myself also don’t always buy organic -mostly just try to get as much organic as possible from the Dirty Dozen list. This post is very informative, especially the 4-5 digit code on the labels..great to know! Love this info! I have been taking organic more seriously lately. I never really understood the difference before. Now I get it! Gonna try and buy much more organic produce! Thanks. Welcome to Kat's Health Corner. You'll find easy, healthy recipes and simple tips to live a healthy lifestyle. Read my story and follow my journey as I become a mother, strive to live a healthy lifestyle, and continue to rely on the Lord. Receive the latest recipes and health tips by email. Adventures in Pregnancy Week 21 + What is Added Sugar?